KATHMANDU, Augusts 27: Incidents of tourists going missing in Nepal have increased in recent years, posing a serious challenge to the tourism industry, according to government officials. As many as 62 tourists have gone missing in the last five years from different places of the country. Of them, only 11 were found died of alive. According to the government records, 51 tourists are still missing in Nepal. According to Nepal Police, out of 16 tourists gone missing in the last fiscal year (Aug2016 to July 2017), three were rescued alive and other three were found dead during the rescue operation but 10 are still missing. Taiwanese trekker Liang Sheng-Yuen was rescued alive after 47 days from a remote area of Dhading earlier this year, but his girlfriend Liu Chen-Chun was found dead in a cave due to extreme cold and lack of food. The couple had set out for trekking without any guide. The dead bodies of a Nepali couple were found on the bank of Modi river in Parbat last month. They had gone trekking and were headed for Mustang. The reason behind the deaths of Muna Rana, 25, of Lalitpur and Ankit Gurung, 26, of Dharan is still unknown. Police are still searching the whereabouts of Danish citizen Martin Udsen Overgaard, 26, who went missing from Langtang area of Rasuwa district in March. These are the very few anecdotes of cases reported to the police about missing foreign and Nepali tourists in the country. According to the police headquarters, some cases might have gone unreported. Nepal police and its wing tourist police are entrusted with the responsibility of searching the missing tourists. Tourist police has recorded six incidents of missing tourists in the country last year. “We forwarded our data to the police headquarters,” said tourist police Inspector Tulasa Khatiwada. The police headquarters only maintains records of international tourists. But many domestic tourists also go missing in various trekking routes in the mountainous region. Bibek Basnet of Bhaktapur was rescued and Yogesh Shakya of Lalitpur was found dedd in March in Langtang area. Most tourists missing in Trekking According to the police, most of the tourists who go missing are trekkers in the high altitude mountainous region. But the number of tourists missing from Kathmandu is also alarming. Out of the 16 tourists who went missing last fiscal year, eight had gone missing during trekking but other five went out of contact from Kathmandu, Pokhara and Lumbini. Three were found dead in Annapurna, Ganesha mountain area and from Pokhara. According to the police, the whereabouts of 12 missing tourists of total 14 in fiscal year 2015-16 is still unknown. Two were rescued alive. Four of them had gone missing from the capital city. Likewise, in fiscal year 2012-13 only two missing tourists were found out of total eight missing. “Most of the tourists are found to be missing during trekking in upper mountainous region. Some others visiting Nepal for various works have also been found missing,” said Nepal Police Spokesperson DIG Pusakr Karki. He further said that most of the tourists missing from Kathmandu would have gone missing from outside the valley. “Cases of missing among sole wanderlusts trekking in the high Himalayan areas are high. We have very few reports about missing cases when the rourists have guides,” said DIG Karki. He also said that chances of finding tourists from mountainous areas is very low due to unclear route, geographical difficulty and lack of immediate communication access. Records from previous years show that most of the tourists have gone missing from Annapurna trekking route, Ganesh Himal trekking route, Langtang area, Dhaulagiri mountain area, and Mustang and Manang area. According to Trekking Agencies Association of Nepal (TAAN), tourists go missing due to the lack of geographical knowledge and experience in mountainous areas. “Most of the tourists want to trek to the mountainous areas in their first visit to Nepal; they embark on a trek without a guide and porters. 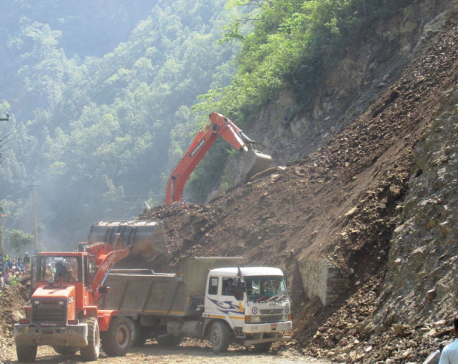 Many of them fail to find the route or fall from cliffs,” said TAAN treasurer Lilaballav Dahal. He advises the Nepal Tourism Board (NTB) not to issue trekking permits to trekkers without a guide. Tourism entrepreneurs have demanded compulsory guides for the trekkers. NTB Chief Executive Officer Deepk Raj Joshi advises the tourists to trek with guides for safety. “We have taken the issue of missing tourists seriously. The board is planning to install route signs along the major routes,” he said.